Reporter Madison Coles wants to write an exposé on the crime spree rocking Desert Valley, Arizona—but the small town's residents and police are tight-lipped. 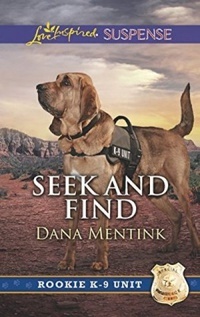 Even when Madison herself is attacked, the only help she can get is protection from rookie K-9 officer James Harrison and his trusty bloodhound. Suspicious of the reporter's motives, the handsome cop keeps her at arm's length. But the more Madison's life is threatened, the more focused she is on finding the truth—and the closer she gets to James. Can he help her find the story without them both ending up in the obituary pages?